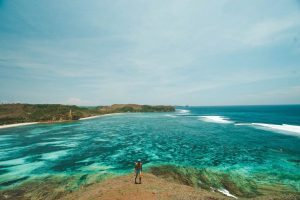 Lombok, the less populated island east of Bali, is perfect for people looking for a beach getaway that is far from the maddening crowd and the noisy unison of motorbikes in traffic. Be wowed by the sunset colours of Lombok and the islands around it by reading our list of the best places to watch the sunset in Lombok. 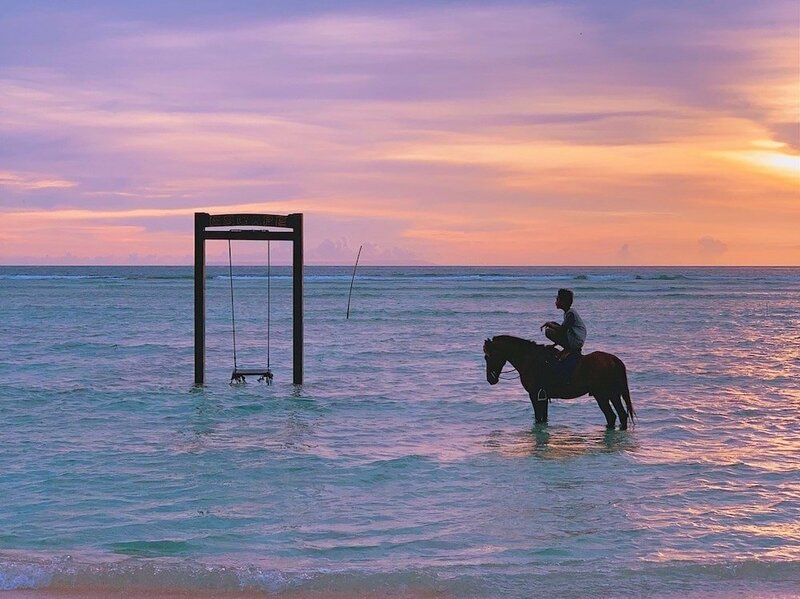 Head to the west of the biggest Gili island and be awed by the contrast of colours that the sun-kissed skies make with the dark, indomitable shape of the Agung Mountain in Bali. Head to Villa Ombak Sunset, the biggest hotel on the island, and find yourself a comfortable perch on one of their lounge chairs as you take a sip of their delicious cocktails. For that perfect Instagram shot, take a seat on one of the swings and have your BFF take a photo of you as the sun is setting. 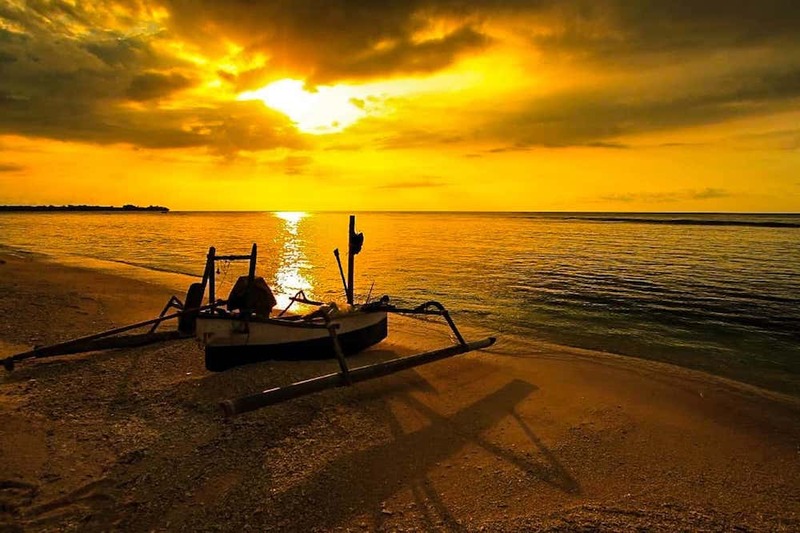 Another sunset location that may require more work is the top of the Gili Trawangan hill, where the sweeping sunset views will make the effort worthwhile. 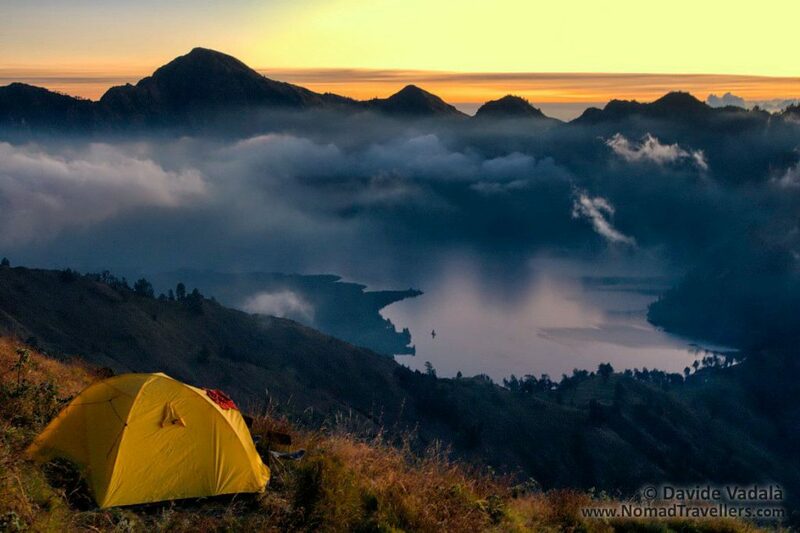 The best place to view the sunset is from the peak of Rinja Mountain, the second highest volcano in Indonesia. With a height of 1,500 metres to cover in an 8 kilometre trek, it will be quite a climb that will take you more than 4 hours to get to the peak. You will, however, be rewarded with a spectacular sunset viewpoint that overlooks a volcano crater that creates a surreal landscape with the mountains, Gunung Agung and Gunung Tambora, in the background. By night time, you will find yourself surrounded by stars and when you wake up the next day, you will be greeted by the sunrise. 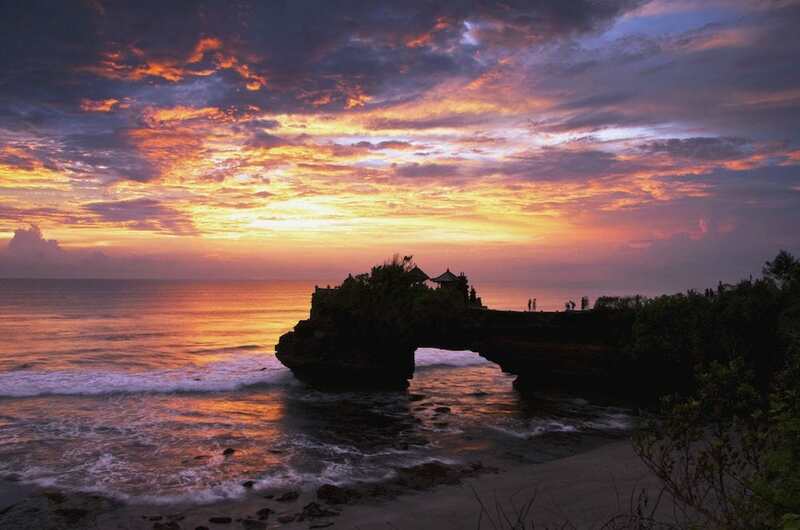 West of Lombok, you can catch a magical and exotic sunset at Pura Batu Bolong. With a name that means “hole between the stones” in Indonesian, the pool of water bordered by the dark rocks create a mesmerizing reflection of the sunset hues that fill the sky. In the background, the dark shape of the temple adds an exotic element to your sunset views. 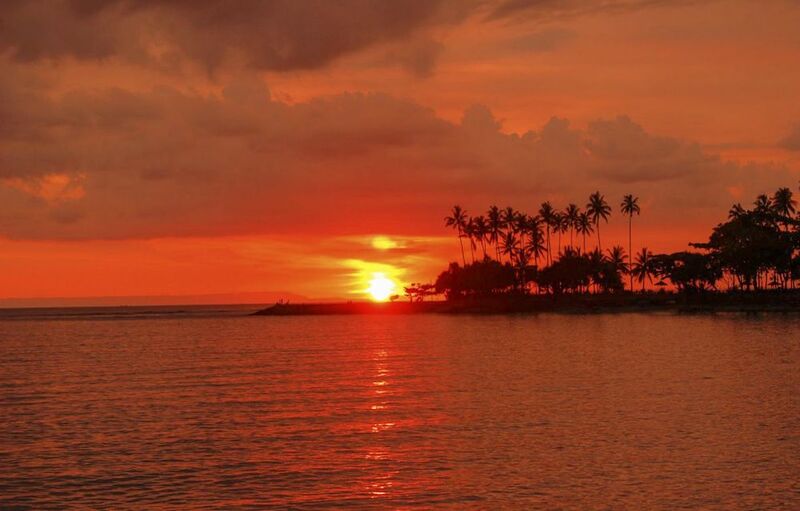 West of the mainland of Lombok, the spectacular burst of sunset hues can be appreciated from the comforts of one of the bars that line the beach. A base for day trips, the lolling boats on the foreground add a bit of shape to Sengiggi’s sunsets. 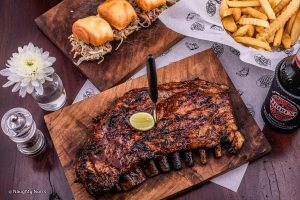 Whether you call dibs to the many bean bags scattered all over the beach location of La Chill Bar or the comfortable couches of Senja Lounge, an enchanting sunset awaits you. 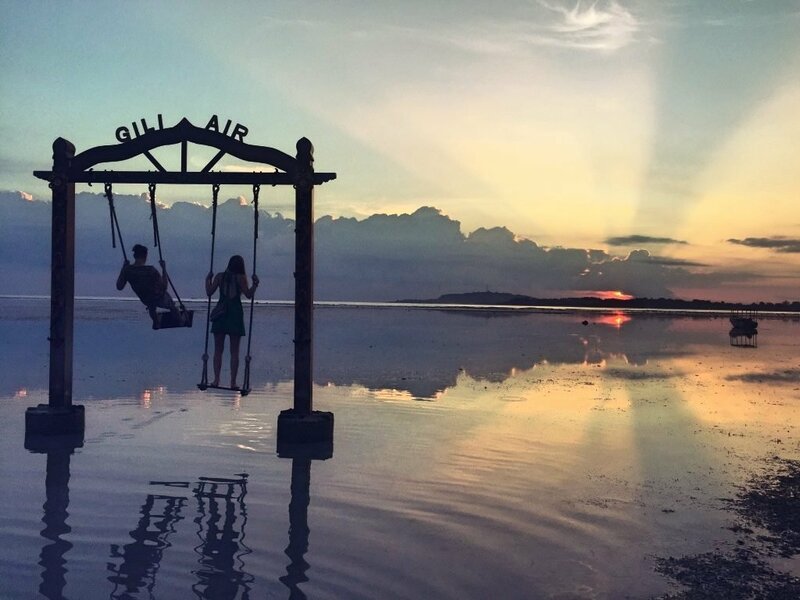 A less visited location, Gili Air offers the tranquil sunsets. Be surrounded by the spectacular shades of sunset while listening to the calming waves touch the shore and the sound of swallows serenading the coming evening. 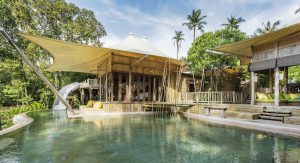 Another isolated paradise location for viewing the sunset is the rarely visited crescent-shaped bay of Sire Beach where you will be treated with the shadows of groves of palm trees amidst a background of colours from the setting sun. From this vantage point, you also get to see the peak of Gurung Rinjani and a panoramic view of the three Gili Islands. When in Kuta, the most tourist dense area of Lombok, the challenge is finding that perfect sunset spot. Most likely, despite all the trendy cafes and bars by the beach, you will end up having to share the sunset with a big crowd. The best way to get around this is to head to the top of Bukit Merese Hill, where you will have a stunning sunset view all to yourself. 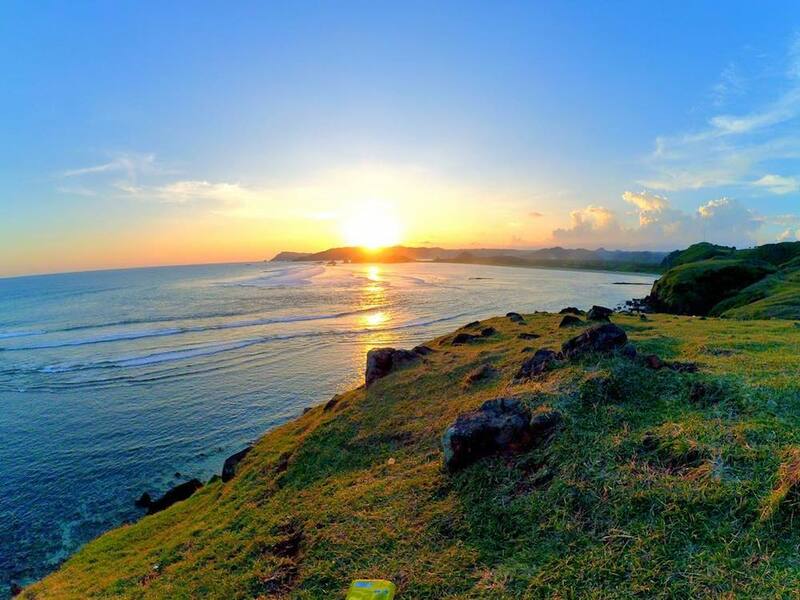 Have you discovered a new spot to see the sunset in Lombok? Let your fellow travelers know by commenting below.